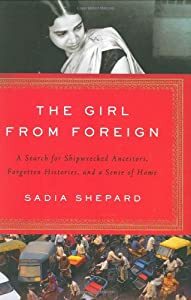 I finished reading The Girl From Foreign by Sadia Shepard over my vacation last week. To capture this book in a post will be difficult. At heart it is a book about identity, not just identity of body but identity of soul – spiritual identity. The author grew up in Chestnut Hill, a village to the west of Boston center and known primarily as home to Boston College. Her mom is a Pakistani, a Muslim and her dad is American from an Episcopalian background. Sadia’s grandmother, Nana, was originally from India and headed to Pakistan with her husband during the time of partition when Muslims living in India left for the new Islamic state that was Pakistan. Although married to a Muslim her grandmother was Jewish, descended from a small group of Jews who were shipwrecked off the coast of India in the 1800’s and struggled to keep a faith alive with barely a Torah left to remind and sustain them. I write about this background because therein is the story. Sadia has a Fulbright scholarship to go study the Bene Israel Jewish community in India from which her grandmother came. 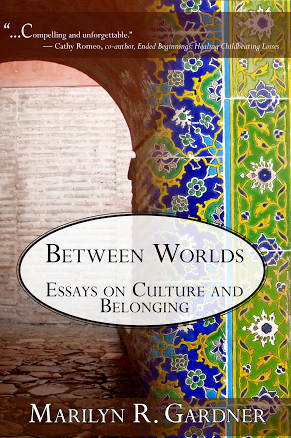 In her study of this community she is really searching for her role within the three faiths. Can she embrace all of them? Must she choose? Who is she as an American who grew up with three faiths and the inevitable cultural trappings that accompany a faith? Added to this is her struggle with cultural adaptation. She knows America well as her childhood home. She has visited Pakistan several times but, by her own admission, was kept within the safety of her Pakistani family. In India she is alone, struggling to find the community that is the focus of her research as well as her identity as a foreigner. 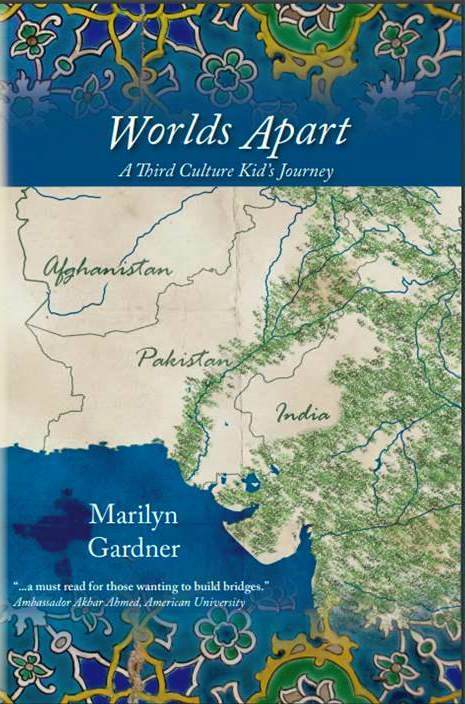 Woven between her childhood memories in Chestnut hill with frequent trips to Pakistan, to a history of her grandmother that she has discovered through family stories, letters and research in India, and then on to her current quest in India the story alternates between being about her grandmother and being about her. The reader takes a journey into her world, and struggles with her, as she tries to find out who she is, who she can be. “I think she absolutely has to choose…. Sadia, may I speak frankly, as your friend?’…”I think, Sadia, that if you are not going to go into depth, then you can be quite comfortable with all three religions in your life. There are certainly a great number of things that Judaism and Christianity have in common, and a great number of things that you will find similar in Islam and Judaism. But if you look at all three in depth, I think you will see that there are also a great number of contradictions. So that, if you believe fully in one, you cannot believe in the others. I won’t tell you the outcome. That is neither fair to the author or to you! But as you read this and think about identity, spiritual and cultural identity, have you chosen? Do you think you have to choose? What’s your story and where has your faith journey taken you? Sadia’s journey took her to India. Mine has taken me from a small missionary community where big questions seemed easy to a world where big questions are not as black and white, but where my faith is the lens through which I view all of life. Feel free to add to the discussion and share a bit of your journey and by all means – read the book! I hadn’t heard of this, am definitely intrigued now though. Thanks for another to add to my list! It’s a bit unsatisfying at points….I would love to have you read it just to get your take. And I always have questions when someone believes that you can live in that precarious state where you ‘fully’ accept both faiths because as we know – although there are similarities there are also contradictions in our faith. Any how – I miss you!! I’m trying to be more thoughtful about internet use, specifically posting on the blog during this Lenten period. It’s good to reflect on what it is supposed to be for me and what it isn’t….humbling. I disagree with those who liked this book. The problem is that the person on whom the book is based, Rachel Jacobs, is uninteresting, undistinguished, and unaccomplished.The author whio wants the book to be based on herself does not have the the background, life experience, or spiritual-philosophical-psychological depth to stir up big or little questions about religious and national determinations, issues, and choices. The book is therefore a very boring travelogue! sounds interesting. I’ll look out for it. What an interesting book and an interesting post that once makes the reader do some deep soul searching. I lived in Pune for the past five years and there in Koregaon park I often used to pass a Jewish Cemetery. There is also a very famous Synagogue there and I think there must be a reasonable sized community still living there, though i did not meet any Jewish people during my stay there. Nissim Ezekiel was a famous Jewish poet in India, he lived in Bombay. I had met him once. I remember him as a very sweet and courteous person. It is of course your question about where one’s faith journey has taken one that is the reason for the soul searching. Personally I find all my answers in my book and each time it brings me closer to God. I don’t think it takes me on a physical journey but a more spiritual one, one that involves the heart and mind and soul.